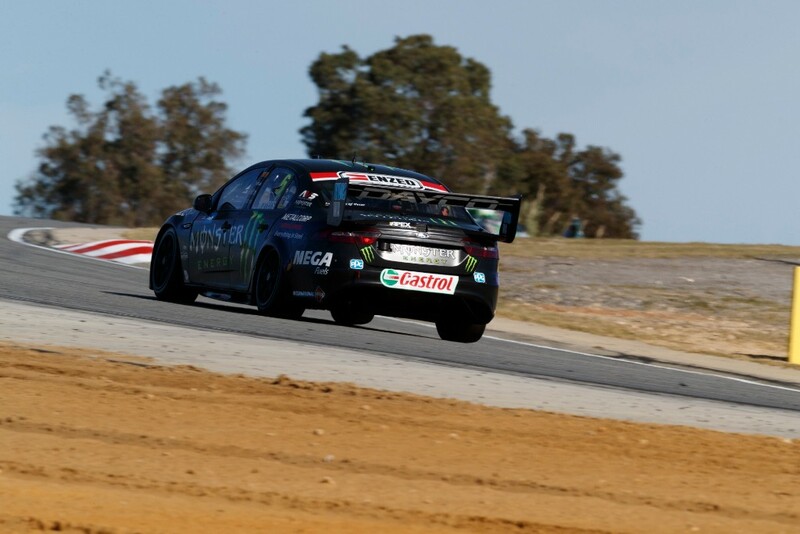 Following its first podium result of 2018, Tickford Racing could not replicate Saturday’s success in Sunday’s Race 12 from Barbagallo Raceway. Chaz Mostert (No. 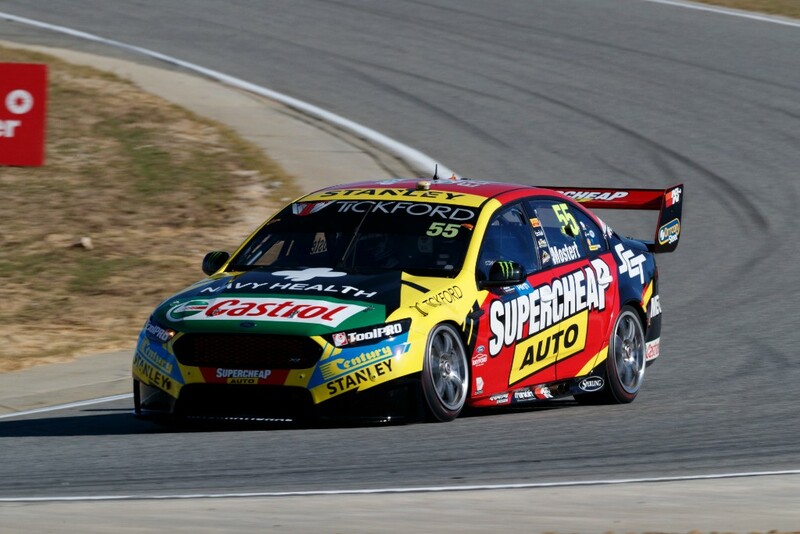 55 Supercheap Auto Ford Falcon FG X) led the team home in eleventh, his first finish outside the top ten in 2018, and closely followed by Cameron Waters (No. 6 Monster Energy Ford Falcon FG X) in 13th. At one stage Richie Stanaway (No. 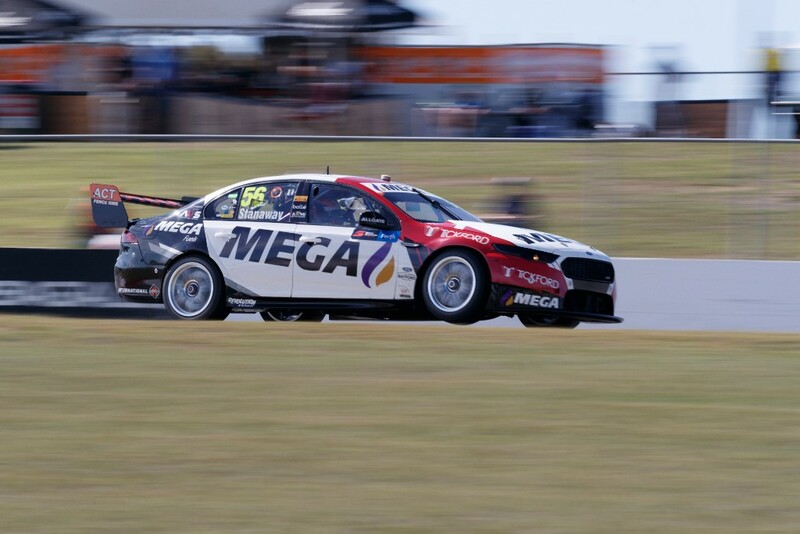 56 MEGA Fuels/Tickford Racing Ford Falcon FG X) was in position to challenge for his first top ten as a main game driver, but lacked tyre grip in the final stint en route to a 19th place finish. Saturday’s runner-up Mark Winterbottom (No. 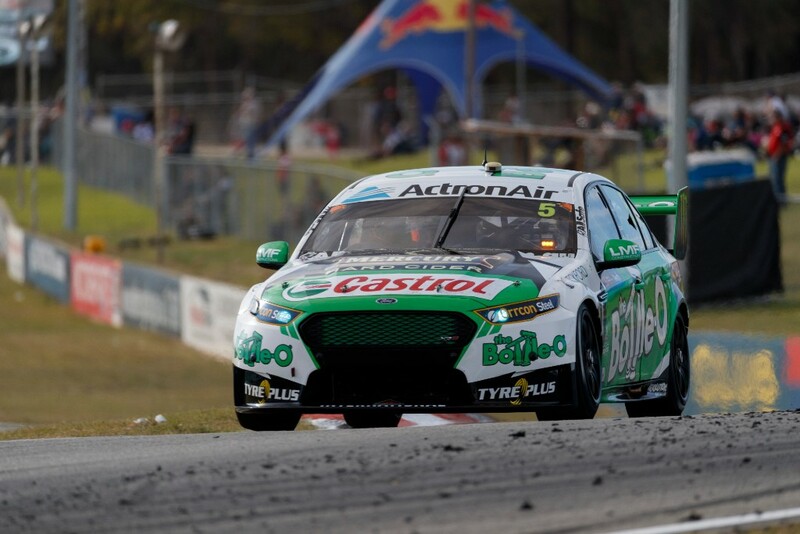 5 The Bottle-O Ford Falcon FG X) finished 21st after first lap contact with Stanaway amidst a Turn 5 scramble damaged the veteran’s steering, an issue that plagued him throughout the 83-lap race. The team will next have a crack in the Winton SuperSprint, taking place at the team’s designated test track, Winton Motor Raceway in Victoria. Races 13 and 14 of 2018 will be contested across May 18-20 at the season’s sixth race round. Sunday’s bright spot for the team came from Thomas Randle (No. 5 Skye Sands Ford Falcon FG X), who started from pole in the first Super2 race of the day on a damp track, finishing second to take his first podium of his young career. Randle followed that up by finishing sixth from second starting position in Race 9 of 2018, which scored him enough points to secure third place on the round. Despite scoring zero points in Adelaide after a mechanical failure saw him DNF Race 1 and not participate in Races 2 or 3, the 22-year old now sits 11th in Super2 points at the championship’s halfway mark. Super2 returns to action two months from now on the streets of Townsville, July 6-8.